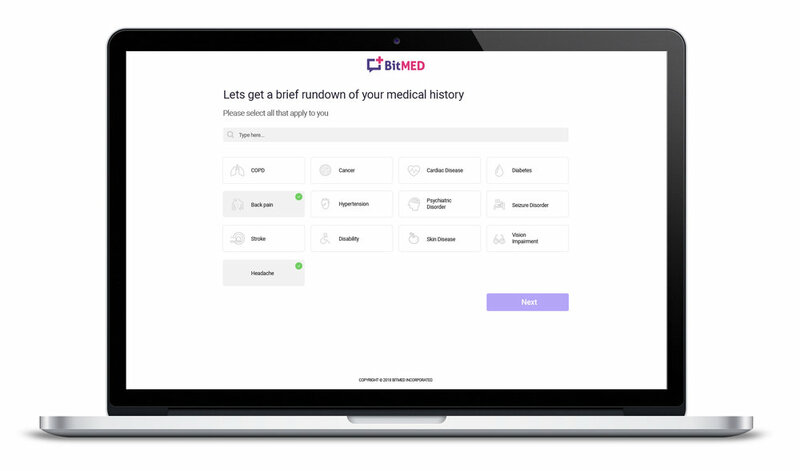 BitMED is rethinking the way patients and doctors engage in healthcare and our healthcare solution is available at no-cost to anyone, anywhere, worldwide. That's right, we don't charge members, companies, or insurance companies for our Telehealth services. At BitMED, we think it's silly to spend $.40 to recoup $1, so we don't do it. Not to mention, the current healthcare system doesn’t work. Giving away free healthcare isn’t easy. Not only did we have to invent cool technology, we also had to learn and understand the unique needs of people around the world. This meant face-time across the globe (i.e. Uganda, China, Australia) with leaders as well as communities to understand these challenges and opportunities. We then had to create new legal, malpractice, and regulatory avenues to allow us to bring this technology to our global clients. We developed the process over the past 12 months without compromising our highest standards and commitment to no-cost healthcare. 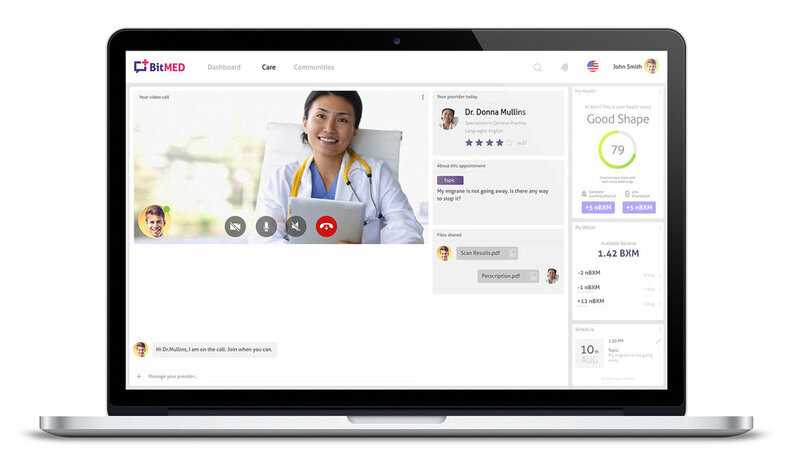 Care: BitMED provides members real-time messaging with U.S. Board Certified medical providers. Members can chat through our messaging platform and can also make appointments for live video consultations. Our platform is offered at absolutely no cost, which means health insurance is not needed and you will never receive a bill. Communities: Sharing in a collective experience is a critical component of health maintenance. BitMED's communities are a place where members can discuss common issues, interests, and experiences, all while providing and receiving emotional support from one another. This is a modern-day health chatroom: a place where you can ask others for day-to-day advice on how to manage your health. Curated Content: 72% of internet users looked online for health information within the past year. Unfortunately, Dr. Google did not go to medical school. 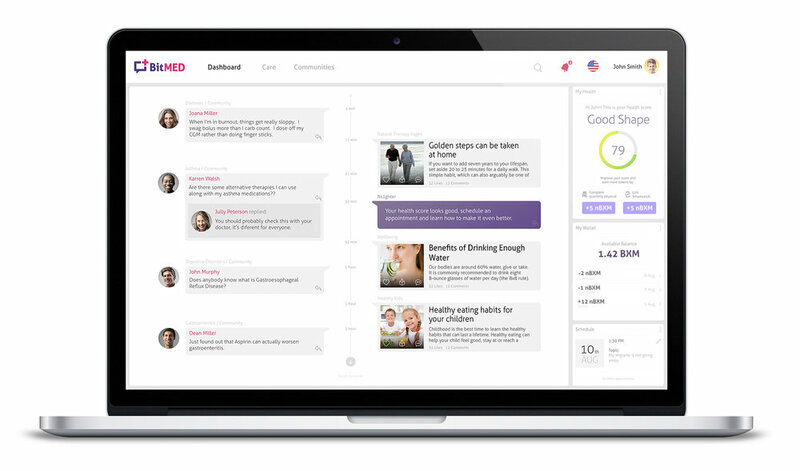 BitMED matches medically correct content to our members’ concerns and interests. Content is delivered directly to your personal profile for you to review, save, and share with your communities or even your doctor. 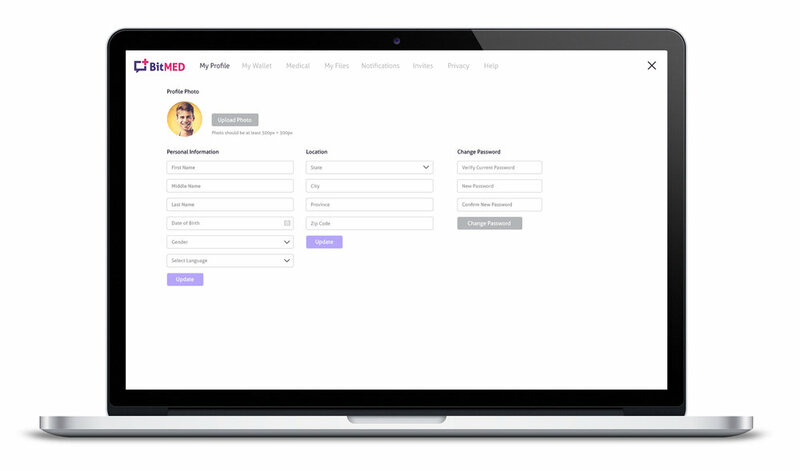 If you ever have a question – no matter what day or time –BitMED’s providers are just a click away.